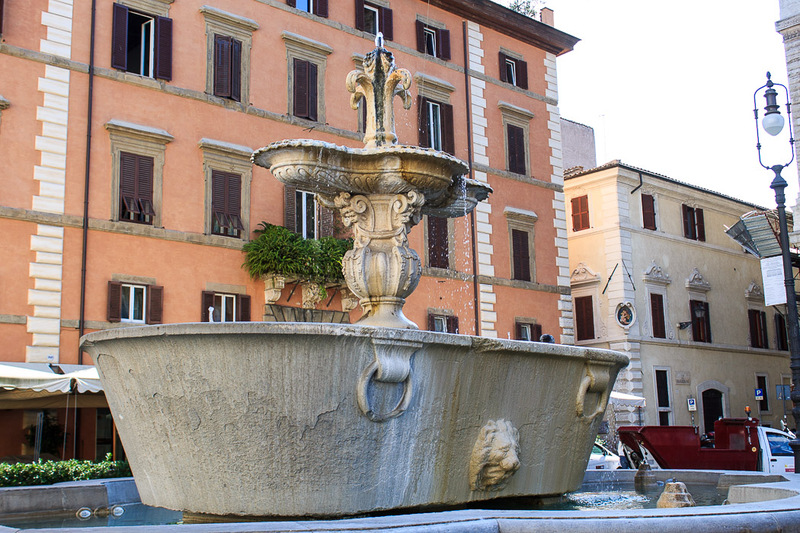 There are two fountains in Piazza Farnese, identical to each other. 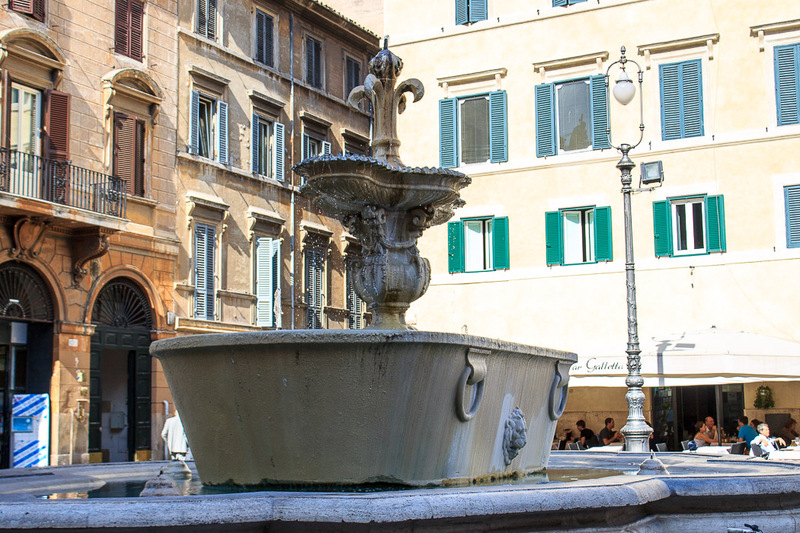 They have the fleur de lys emblem of the Farnese family at the top, beneath which is a small scalloped oval basin, with a large bathub-shaped granite stone basin below that. Those granite basins came from the Baths of Caracalla of ancient Rome. Beneath the bathtub is a large waist-high pool that collects and drains the water. 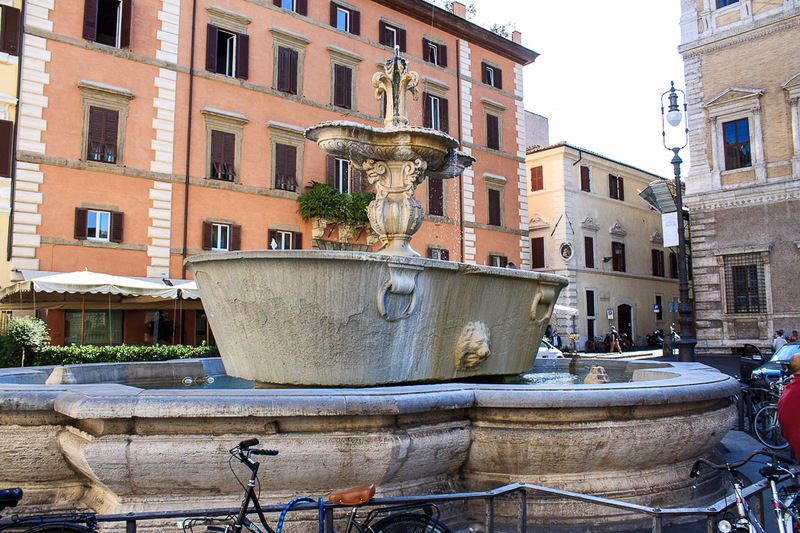 See all Fountain in Piazza Farnese photos.